Some prefer to have total control over their game character, while others like to give orders and trust in their units’ skill. 11 Responses to What kind of gamer are you? Last chaos is a waaaaay better game than caesary! i mean caesary is just a little browser game… i a definitely the hands on “Do it All Myself” Xtreme Gamer! If you enjoy taking your avatar creation and building its fighting style based on your personality you are going to love shaiya. You get to choose whether or not you are going tobe light or fury (dark) which also gives you different options as to what kind of avatar species you want to be. That in turn offers more possibilities, human,elf, fighter or mage more choices means endless fun. Enteract with people from all over the world join a guild or make your own. Do the many quests or just go battle against other players from the otherside. The choice is yours, more control over the game makes that world yours to rule. Hope to see you there battling with me or against me. anyway, youre looking at everything else and not just the fighting! its clear that Sci-fi mmorpgs have WAAY more action in them! I love more quest and less player versus player. I love TwelveSky2 but it’s been hacked so much that it’s almost taken the fun out of playing. I’ve grown to love Battle of the immortals. Before both of these I just played Final Fantasy (the whole series) and was just fine solo. http://www.aeriagames.com provides fun, free games such as shaiya. Shaiya is a Free MMORPG. Shaiya is a battle type MMORPG so believe to be that kind of gamer It has all quailities a game should have to keep you entertained for hours. I have been playing this game for about a year and still have not finished it or gotten bored with it. You get to link with people from all over the world and join forces to battle light/fury which ever side you want to be on. You have control over what kind of player you will be and you get to build your avatar to your type of fighting style. http://www.aeriagames.com provides fun, free games such as shaiya. Shaiya is a Free MMORPG. It has all quailities a game should have to keep you entertained for hours. I have been playing this game for about a year and still have not finished it or gotten bored with it. If you are a battle type gamer like me, this is a great game. You get to link with people from all over the world and join forces to battle light/fury which ever side you want to be on. You have control over what kind of player you will be and you get to build your avatar to your type of fighting style. This game offers several different types of avatar characters to choose from human/elf gives you the ability to be a priest or mage even a ranger. Up for some commander type of F2p MMORPG? Here it is! http://www.aeriagames.com Aeria got all the best games u ever played! And thats just a small part of the beatefull world in aeriagames.com! 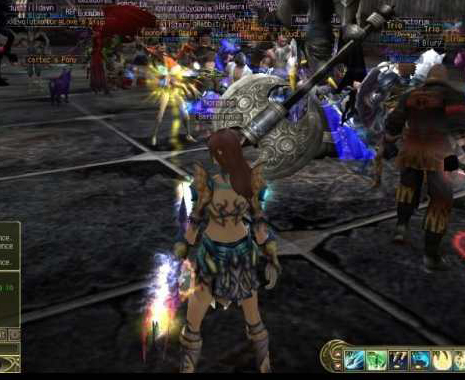 Go in aeriagames.com,make ur own acc chose ur favorite game and log in the fantastic world of the mmorpg’s aeria giving u!